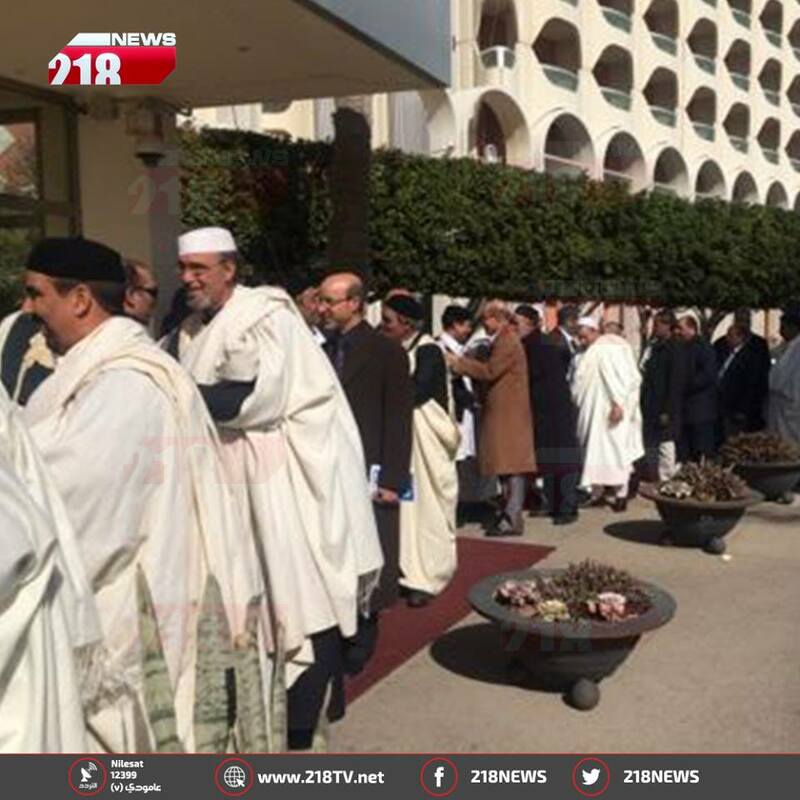 Tribal ceasefire and reconciliation talks started in Tarhuna on Thursday and in Tripoli on Sunday to end the south Tripoli militia fighting (Photo: 218 TV). Meetings were held at the Bab al-Bahr hotel in Tripoli between a 30-strong delegation of the Higher Council for Reconciliation in Tripoli and tribal elders of the Wirfala tribe to reach a definitive ceasefire and to conclude a comprehensive reconciliation agreement between the fighting parties. The Wirfala tribe elders had met with their counterparts in the city of Tarhuna on Friday. UNSMIL seems to have been sidelined on this occassion and was criticised by both fighting parties and indirectly blamed for the collapse of the ceasefire.